Retro Educational Technology: School: a noun and verb but not an adjective? What sort of bus? What describes the bus? I was in disagreement with a language arts teacher with close to three decades of teaching experience who was arguing it could only be a noun. She had set up a multiple choice question asking what part of speech "school" was. I argued that there were three right answers and that it was archaic form of question (It should only be asked about a word where it is shown used in context and even then, it's ... well, that's another topic). I spoke with some confidence: "What about school days, school bus, school boy, school books? What sorts of books would these be? They are school books. And besides, lets pull up Merriam Webster and I'll show you....Wow, I'll be....Merriam Webster lists 'school" as a noun and a verb but not as an adjective! OK, lets try another..." The same thing! I was stupified, stumped, flummoxed, and dumbfounded. The first two dictionaries that I pulled up online both listed 'school" as a noun or a verb, (ie "Would you like to be schooled in the use of dictonaries? ); but neither acknowledged the use of 'school' as an adjective. Finally, I found dictionary.com which mentions the use of school in three ways: noun, adjective, and verb. This seemed obvious to me but I was now aware that there was room for disagreement. What to make of Merriam Webster? What do they think about the 'school bus'? Open form Compound Word: The words are open but when read together, a new meaning is formed. EXAMPLES: post office, real estate, full moon, half sister. The answer lies in this concept of whether a new meaning has been formed. Real estate. I would agree that real when used with estate forms a new meaning that is not clear from just thinking of real as an adjective. Post office is not really a type of office at all, it's a type of retail outlet so it's clearly a compound word and not an adjective noun combination. Full Moon? But could full be an adjective describing the moon? For me, the answer is no since the moon does not fill up at all like a glass or gas tank. Fullness, in this case, is a weird metaphor so for me, there's a new meaning when the words are combined. Hence, full moon is a compound word. Still, this one is a little gray since there are degrees of fullness of the moon which in my mind, tilts it back towards being an adjective with a noun. 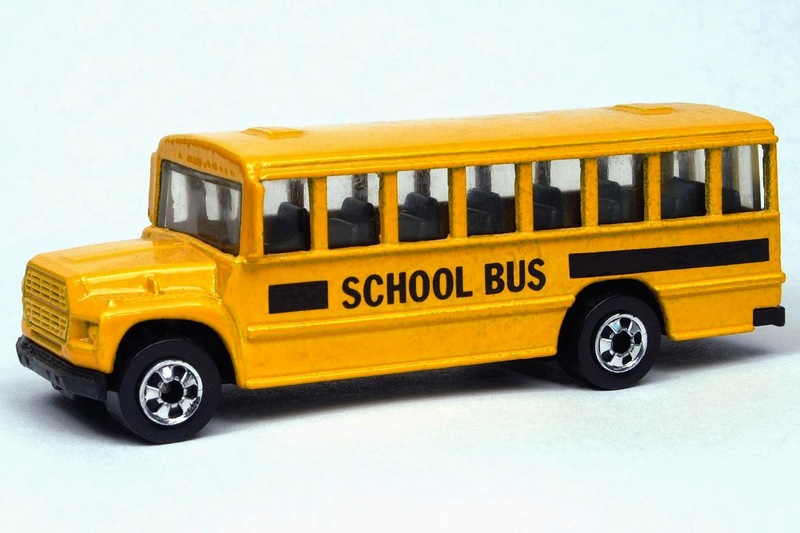 Is a school bus just a type of bus? IMHO Yes. Is a school book just a type of book? IMHO Yes. What about a school desk, is it a type of desk? IMHO, Yes. Is a school house just a type of house? IMHO NO, it's not a house at all. Is a school boy or a school girl (btw, that's one of the most searched terms on the internet....don't ask...uhg) just a type of boy or girl? IMHO Maybe. School half day? This is an expression we throw around. Is Wednesday before Thanksgiving, a school half day? Is half day a single open form compound word? What about school half day? So there's some black and white cases of school being used as an adjective such as with bus or book. There's some definite compound words made with the word school such as school house. And there are some gray areas where I'm not sure and I'd have to consult greater authorities. But, if Merriam Webster is unwilling to acknowledge that school could ever be used as an adjective then I (the Mayor of VocabularySpellingCity) am getting a little unsure of who this greater authority will be. Maybe my Mom or brothers, all of whom seem to know grammar so much better than me. Of course, none of this matters. As the Common Core implies, students can become great writers and readers without knowing how to categorize parts of speech or diagram sentences. And since teaching semantics and grammar does not really seem to be lighting up the student population or improving literacy, lets try de-emphasizing it. I'd agree that only the word nerds among us would care about the above discussion and so trying to teach it and get students to care about it is not the future of education. About this blog. This blog is a personal blog of John, the founder of VocabularySpellingCity. Currently, this blog highlights vintage educational technology which have been collected in the VocabularySpellingCity office such as school desks, Golden Books, Dictionaries and Encyclopedias, mimeograph machines, and film strips (is it just me or does every title in that list taunt me to classify it as to whether it's a compound word or not). This post is a throwback to an earlier era on this blog when Miss Suzy, a colleague wrote about language with popular article such as: S.O.S. -- Abrasion vs. Cut vs. Scratch, Are you Prominent, Eminent or Either or Neither?, Estimate and Esteem, and Clean Up Your Use of Guest.